Did you know that aloe vera plants are succulents? And even the tiniest of aloe houseplants contains the soothing, helpful aloe gel that’s used to make burn ointment! So not only are they easy to care for, but they’re highly beneficial as well! If you’d like to keep an aloe plant in your home, you need to read my tips on How to Care for an Aloe Vera Plant! After you read this post, you may also want to read my post on Aloe Vera Benefits And Uses. It’s pretty easy to care for an aloe vera plant in any environment as they don’t require a ton of light. In fact, they prefer indirect sunlight, so don’t place your plant right against a sunny window. They can even thrive under 100% artificial light! 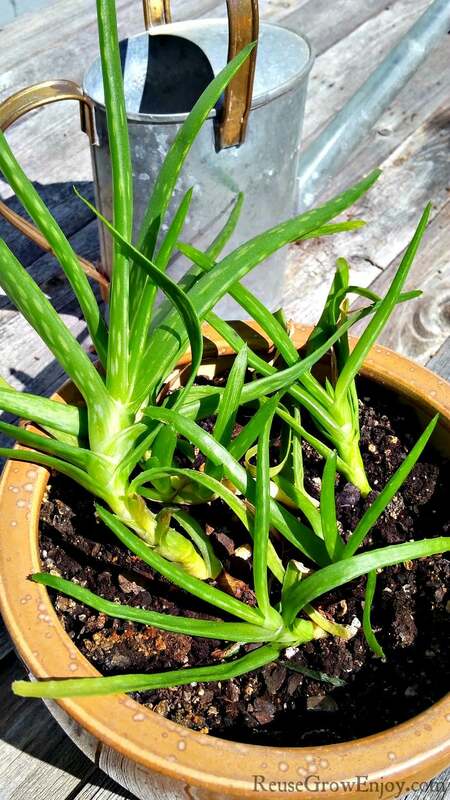 While some succulents are cold hardy, aloe vera plants are not. They actually prefer more moderate temperatures in the range of 55-80 degrees Fahrenheit. So make sure not to place them near cold windows or vents, and also don’t put them right next to a fireplace or heater. Another reason it’s easy to care for an aloe vera plant is that they don’t need frequent watering. A deep watering once or twice a month is usually enough, and you can wait even longer between waterings in the winter. A general rule of thumb when watering aloe vera plants is to wait until the soil dries out before watering again. Aloe vera plants prefer a soil that drains well. A potting mix that’s been designed for succulents and cacti usually is a good fit. If you use the wrong soil, the water you give your plant won’t drain well and it could start to rot or get a disease. When it rots you may not notice it right away as the aloe itself will stay pretty green for a while. But then it will end up separating from the roots at the soil level and will end up dying. Aloe vera plants don’t really need fertilizer to survive, but they can be fertilized with an all-purpose fertilizer in the spring and summer when they’re growing the most. But dilute the fertilizer so it’s only at half strength, and never fertilize more than once within a 30 day period. 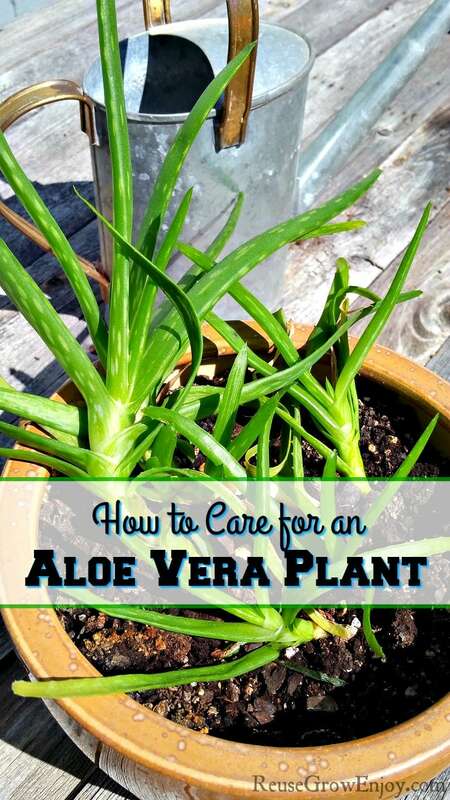 Isn’t it wonderful how easy it is to care for an aloe vera plant? If you follow these easy tips not only will you have a pretty houseplant, but you’ll also have soothing aloe vera jelly always on hand! Do you have and use an aloe vera plant? I always have an aloe plant nearby. I do a lot of wood burning and I’ll be darned if I don’t burn my finger every time I start a project. Aloe saves my fingers every time. I use my Aloe plant all the time too Brenda. Aloe really is an amazing plant! I think they should change the name to miracle plant! I took a small piece a an aloe vera plant from my moms garden ,f put it in water it started to die so transplanted it . That small pice is now thriving.I water it about once a month it is beautiful. Planning on replanting and creating another few offspring.Very easy to care for. I love being able to start plants from others! My aloe plant is one of my favorite houseplants and I agree Patty they are really easy to care for.